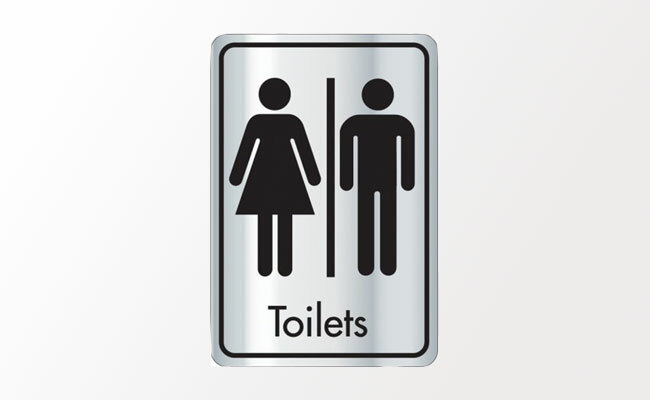 Not only useful in public restrooms but also in restaurants, hospitals, and general businesses, our door signs include ladies and gents washroom signs and opening and closing hours notices. At Pattersons Cleaning Supplies we provide a wide variety of general door notices from ‘Staff Only’ signs to smoking prohibition notices so that you can provide essential information clearly. Choose from the Pattersons Cleaning and Catering Supplies range of safety and informational notices that include catering notices, smoking policy signs, fire safety signs, health and safety posters and loads more! We will aim to have your signs delivered as soon as possible which could be as soon as tomorrow or you can choose and click and collect option if you wish! Please Mind the Step Sign. Alupanel Silver & Black Disabled Toilet Door Sign. Silver & Black Ladies Toilet Door Sign. Silver & Black Gents Toilet Door Sign. Metallic Door Disc - Staff Only. Metallic Door Disc - Pull. Metallic Door Disc - Push. Metallic Door Disc - Baby Changing.